1 Zipper coin pocket; back has 1 addition slot, can for credit cards, debit cards, driver license and ID cards, ID badge, access cards and hotel room cards. 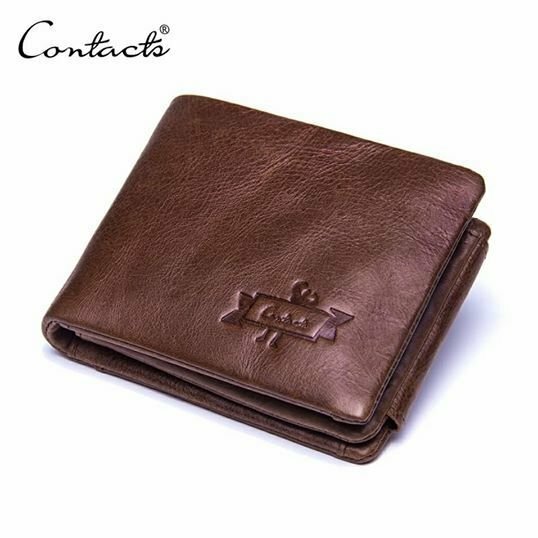 • Size: 4.3 x 3.7 x 1.2 inches, Men’s Ranger Leather Passcase Wallet, classic pocket wallet is good for Gift all occasions: Birthday, anniversary, Valentine’s Day, Father’s Day, Christmas, New Year or another significant event. • Super convenient and portable, not only for travelling, but also for daily life.